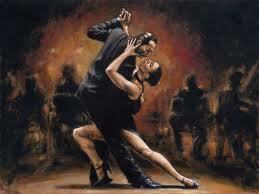 The Argentinean tango dance, certainly a currency to the Argentinean, is very amusing and energizing. Perhaps, the Americans ought to consider such tango as their new currency. I write this morning, forgive me Jesus, on this, Your Day, of deficits, debt, of a people called the Americans, Dr. Paul, Uncle Ben, Queen’s Yellow and, relatedly, the gold bugs and I attach charts and graphs for the readers’ enjoyment. While I fully realize we’d all rather be dancing tango in Argentina, needs must and duty presses hard upon the men at Washington. Sad, tired, haggard and abysmally dressed men live here. Men who never tango. And who rarely ever smile. I ask: do you know what the difference is between the American national debt and the American national deficit? These terms are used loosely and interchangeably at Washington, but they are not synonyms. However, the answer as to the difference in these terms is rather simple. The deficit represents the spending beyond our means for this year. The debt represents the collective deficits run up in our history, principally, for our purpose here, since the end of the last War. No one has ever even attempted to do anything about the national debt. In fat, flush times, most recently under Mr. Clinton’s stewardship, there was an attempt made to reduce the deficit. This was viewed by some as progress on Mr. Clinton’s part, but, consider what that progress actually represented. Reducing the deficit in a given year is no more than reducing the amount in which we overdrew our account relative to the previous year. No more than that. We ask, is that progress? What the Americans do need to decide is this: Do we in fact want to do anything about debt and deficit and, if so, just what do we want to do? Perhaps, people are comfortable with the position status quo ante. After all, the Americans live, on individual level, just as promiscuously with their own finances as does their government with the collective finances. It seems a dance we all like. Keeping the dance going may well be what people want. Let’s at least have a lucid public conversation about it. As politicians refuse to ever speak directly to the people or to enjoin a public discussion on this subject–let’s enjoin it ourselves, friends. The Americans use the terms national debt and national deficits interchangeably and they can be forgiven because who, after all, would care a twig about matters that involve, at base point, proficiency in chartered cost accountancy, a discipline so dull that Our Holy Mother Catholic Church ought to grant complete absolution from any and all sin to the poor blighters who practice chartered cost accountancy for a living. That aside, sent now, today, the day of rest, the Lord’s Day for all civilized people, is the American debt clock followed after by a most useful similar accountancy of the national deficit picture. Our Lord’s Day put aside for the moment, may He forgive me, I am most thankful to the Congressional Budget Office (CBO) for the following United Sates debt clock which is very comprehensive. By native disposition and bloodline, I find talk of money really boring and very impolite. That said, a great deal of money is involved here and the Americans should have a lucid discussion as to what, if anything, can really be done about all this. Beyond that, the Americans must first ask themselves do they care to address the debt clock and the deficit and, if so, precisely just how so. Remarkable numbers to be sure from both The CBO and our young friend Mr. Christopher Chantrill. Think about these numbers and what you realistically think ought to be done. Enjoin the discussion. Collectively come up with a plan and present that plan to your representatives at Washington. As the flashing lights that draw our eye to these charts and graphs represent money, and as we have now discerned what debt and deficit are, it is likewise amenable to ask–just what is money–as it is, after all, money, that is the straw that stirs the drink of debt and deficit? What is money? This seems a silly, even rude, question, but there is considerable disagreement about the answer to that question of just what is money after all? To help us resolve this, a post script now follows respecting Dr. Paul, ole Uncle Ben and the gold bugs. I am very fond of Dr. Paul, I am truly so. His vision of 1910’s America, Pax Americana, a wall around the land, complete self-sufficiency, no wars with anyone unless attacked, let the rest of the world hang itself, no fiat money et sequentia is a very bucolic and peaceful picture we can all agree. Maybe Americans do want to go back to that time. Consider that option as well when you are debating others. The magic of gold as being the only real money has always eluded me and the gold bugs are, for me, amusing. Called back home “Queen’s Yellow,” the physical property of gold is alluring, girls adore it as gifts and yet, it really is simply yellow metal. It can be real money—currency, if all collectively agree it is, but then so can squashed cabbage leaf be money, in similar fashion. Surely gold has been, perhaps in some corners yet is, and it may in future generally be accepted to be once again, money—currency. I caution that to have gold used as generalized currency is very unlikely to work out since there simply is not enough of it—literally—to function as such currency. So, let us all understand that money is simply something—anything—that is mutually agreed by all parties to be money. It’s that simple. Now that you know what money actually is, and we have seen what deficits and debt actually are and how high those numbers are, perhaps the Americans together with Dr. Paul, Uncle Ben, Queen Herself and the gold bugs and all others who have a stated position or who care to chime in, can come to some comity of opinion as to how to use the magic of the money we have to address national debts and deficits. Maybe, just maybe, all the Americans really want to do is dance! !